This will bring some more snowflake meltdowns. 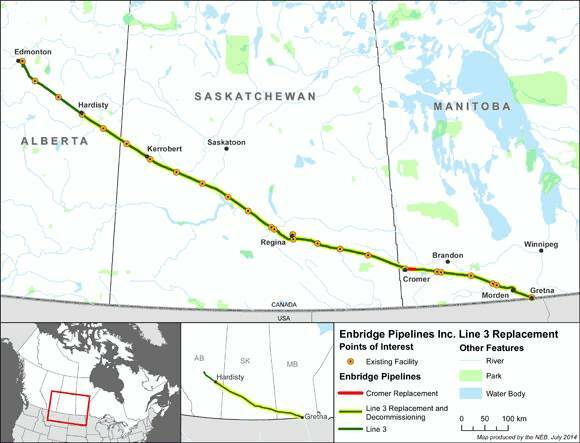 Prime Minister Justin Trudeau announced on Tuesday that his Liberal government had approved a plan to replace a continental pipeline known as Line 3 from Alberta to the United States, and expand a pipeline running from Alberta to the coast of British Columbia (BC), known as the Trans Mountain pipeline. “The decision that we took today is in the best interests of Canada and the best interests of Canadians,” Trudeau said at a press conference on Tuesday afternoon. “This is a decision based on rigorous debate, on science, and on evidence. We have not been and will not be swayed by political arguments, be they local, regional or national. We have made this decision because we are convinced it is safe for BC and it is the right one for Canada. Greens given geography lesson as Swiss reject Fukushima induced nuclear panic. 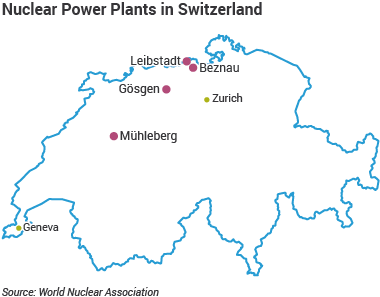 The proposal to force older nuclear power plants to close in Switzerland has been rejected in a referendum. The five reactors that provide over one-third of electricity can continue to operate according to their economic lives. In 2010 there were active plans to replace the five current reactors based on a supportive referendum and confirmation by regulators that the sites were suitable. This program was scrapped by a National Council vote in June 2011, just four months after the accident at Fukushima Daiichi, and Switzerland was put on a path to lose nuclear power when existing reactors retired in the 2030s and 2040s. 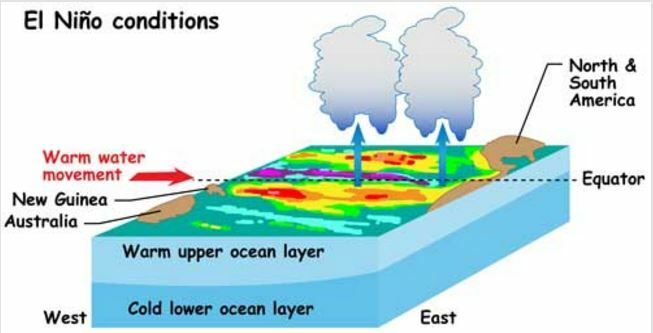 Talkshop readers with good memories may remember the article I wrote back in 2012 on findings by Cardellini et al that volcanic soils emitted far more CO2 than previously thought (and are not included in IPCC carbon cycle inventories). The implication is that longer sunshine hours during the 1980s-90s may well have released a lot of sequestered CO2 from these soils, thus raising atmospheric levels. Which would mean humans are not responsible for all of the increase, as has long been assumed. Robin Wylie, is a doctoral candidate in volcanology, atUniversity College London. He contributed this article to LiveScience’s Expert Voices: Op-Ed & Insights. The exploding hills really give the game away: We’ve always known the Earth is a smoker. The true extent of its habit, though, is only just beginning to surface. Before the human species found its talent for pyromania, atmospheric levels of the Earth’s greenhouse superstar, carbon dioxide (CO2), were controlled, for the most part, by volcanoes. Since our planet emerged from the debris which formed the solarsystem, some four and a half billion years ago, a lifetime supply of primordial carbon has been locked away in the mantle — against its will. Partnering with oxygen and smuggled as a dissolved gas in liquid rock, it breaches the surface at our planet’s volcanic airways: CO2, then, has been seeping into the planet’s atmosphere for as long as there has been one. Until the end of the 20th century, the academic consensus was that this volcanic output was tiny — a fiery speck against the colossal anthropogenic footprint. Recently, though, volcanologists have begun to reveal a hidden side to our leaking planet. Exactly how much CO2 passes through the magmatic vents in our crust might be one of the most important questions that Earth science can answer. Volcanoes may have been overtaken in the carbon stakes, but in order to properly assess the consequences of human pollution, we need the reference point of the natural background. And we’re getting there; the last twenty years have seen huge steps in our understanding of how, and how much CO2 leaves the deep Earth. But at the same time, a disturbing pattern has been emerging. The proposed route in to the UK is via Scotland. Could be interesting with Scottish leaders keen on leaving the UK. 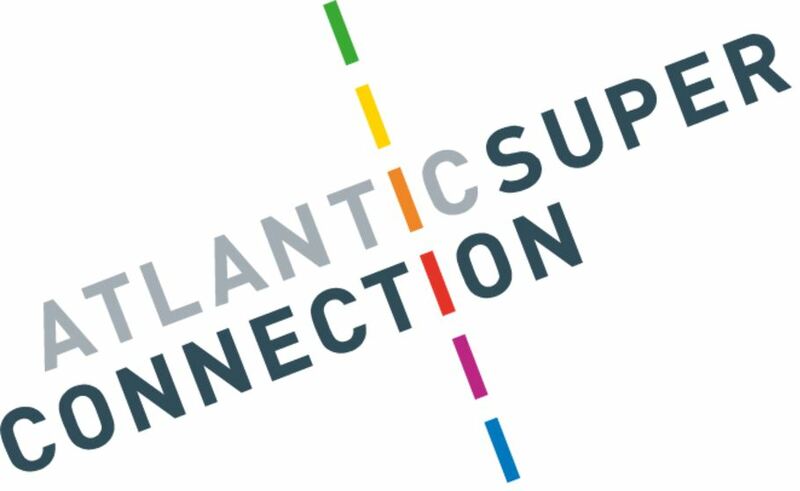 A multibillion pound project aimed at using the power generated by Icelandic volcanoes to fuel British households has lined up a major French infrastructure investor to back its development. Sky News has learnt that Meridiam, a global asset manager…has agreed to finance part of the development cost of a new 1,000-mile-long pipeline between Iceland and the UK. Another round of claims and counter-claims about climate is underway as natural variation takes its course. Talk of records often relates only to the satellite era. Global average temperatures over land have plummeted by more than 1C since the middle of this year – their biggest and steepest fall on record, reports David Rose in The Mail on Sunday. According to satellite data, the late 2016 temperatures are returning to the levels they were at after the 1998 El Niño. 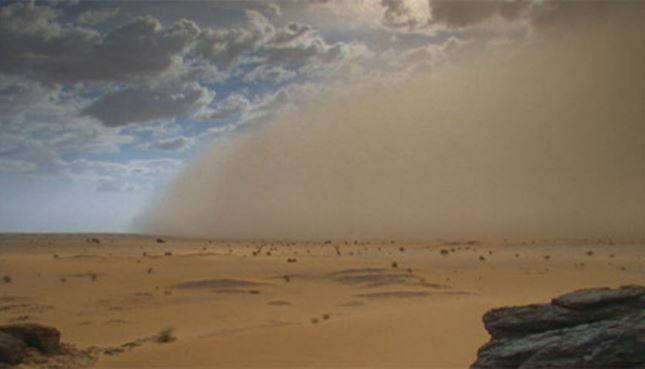 The news comes amid mounting evidence that the recent run of world record high temperatures is about to end. 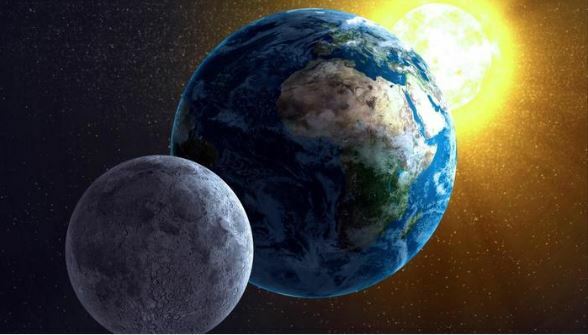 This is an attempt to understand via the numbers the concept proposed by Russian researcher Sidorenkov of a lunar year interacting with the terrestrial year to produce an effect of a ‘quasi-35 year’ climate cycle. ‘European bioenergy plants do not have to produce evidence that their wood products have been sustainably sourced’ – Guardian reporter. Looks like an open invitation to unscrupulous operators to cheat for profit. 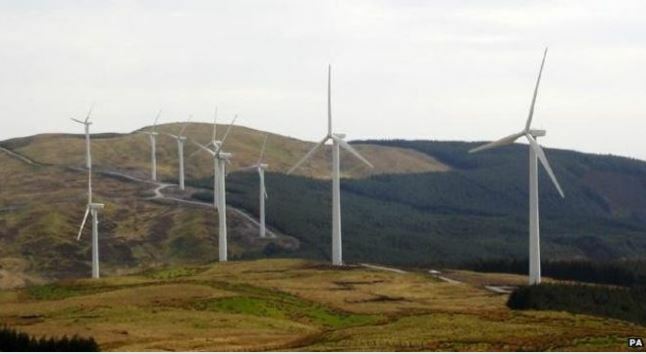 Protected forests are being indiscriminately felled across Europe to meet the EU’s renewable energy targets, according to an investigation by the conservation group Birdlife. Up to 65% of Europe’s renewable output currently comes from bioenergy, involving fuels such as wood pellets and chips, rather than wind and solar power. 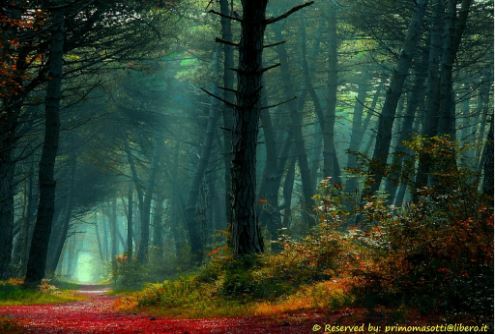 Bioenergy fuel is supposed to be harvested from residue such as forest waste but, under current legislation, European bioenergy plants do not have to produce evidence that their wood products have been sustainably sourced. What is shrinking – with evidence like this – is the credibility of current IPCC-led global warming theories. 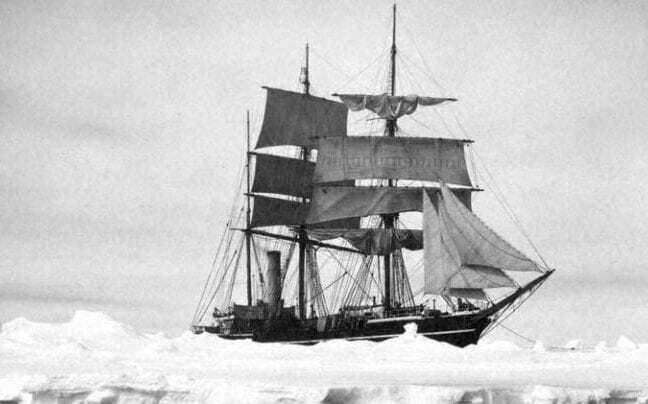 Antarctic sea ice had barely changed from where it was 100 years ago, scientists have discovered, after pouring over the logbooks of great polar explorers such as Robert Falcon Scott and Ernest Shackleton. Experts were concerned that ice at the South Pole had declined significantly since the 1950s, which they feared was driven by man-made climate change. But new analysis suggests that conditions are now virtually identical to when the Terra Nova and Endurance sailed to the continent in the early 1900s, indicating that declines are part of a natural cycle and not the result of global warming. It also explains why sea ice levels in the South Pole have begun to rise again in recent years, a trend which has left climate scientists scratching their heads. From time to time I look at datasets to see how things are progressing. Often there is no news. Snow cover change from mean, Tim’s method. Regime change assumed 1982, data split to show different linear change. Fall during the early years, flat thereafter. Finding the right conditions to melt Martian ice could be tricky. Space.com reporting. A giant deposit of buried ice on Mars contains about as much water as Lake Superior does here on Earth, a new study reports. 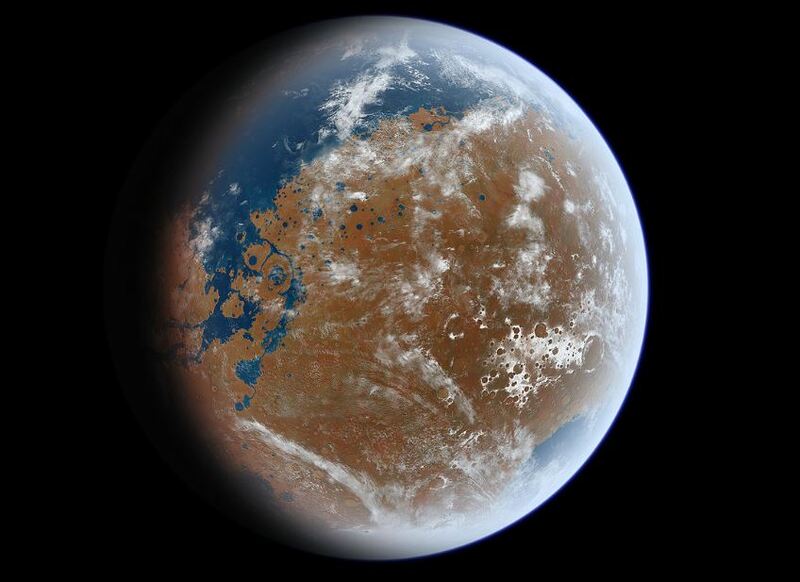 The ice layer, which spans a greater area than the state of New Mexico, lies in Mars’ mid-northern latitudes and is covered by just 3 feet to 33 feet (1 to 10 meters) of soil. It therefore represents a vast possible resource for future astronauts exploring the Red Planet, study team members said. “This deposit is probably more accessible than most water ice on Mars, because it is at a relatively low latitude and it lies in a flat, smooth area where landing a spacecraft would be easier than at some of the other areas with buried ice,” co-author Jack Holt, of the University of Texas, Austin, said in a statement. That’s the view of the GWPF at least. The New York Post has it as ‘Trump seems to be changing his mind on climate change.’ Another case of watering down the rhetoric? Donald Trump on Tuesday backed away from his earlier statements that climate change was a “hoax” invented by the Chinese and said there was some connection between the climate and human activity. “I think there is some connectivity. Some, something. It depends on how much,” Trump told reporters from the New York Times during a meeting at the paper’s Midtown offices. Forecasters will get pictures “like they’ve never seen before” reports Phys.org. ‘More data, more often, much more detailed’ is promised. 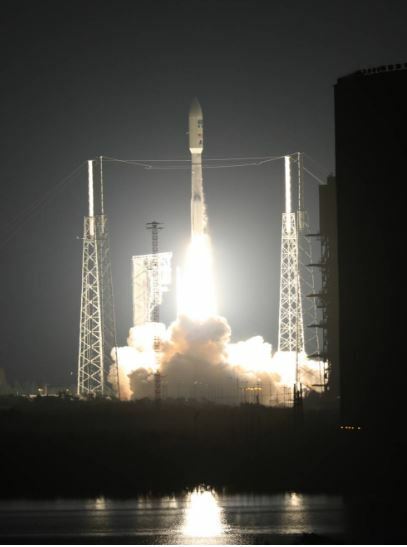 The most advanced weather satellite ever built rocketed into space Saturday night, part of an $11 billion effort to revolutionize forecasting and save lives. This new GOES-R spacecraft will track U.S. weather as never before: hurricanes, tornadoes, flooding, volcanic ash clouds, wildfires, lightning storms, even solar flares. 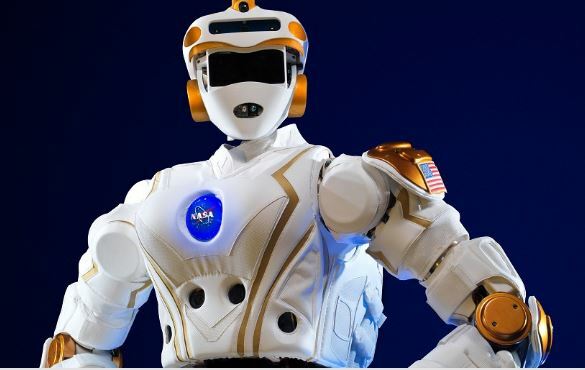 Indeed, about 50 TV meteorologists from around the country converged on the launch site—including NBC’s Al Roker—along with 8,000 space program workers and guests. It seems the earthquake has reduced stress in some areas, but other parts may well have more than before. One expert said “The whole coast appears to have been uplifted”. LiveScience reporting. The magnitude-7.8 quake that rattled New Zealand, killing at least two people and stranding thousands of people, completely transformed the underlying faults in the region. 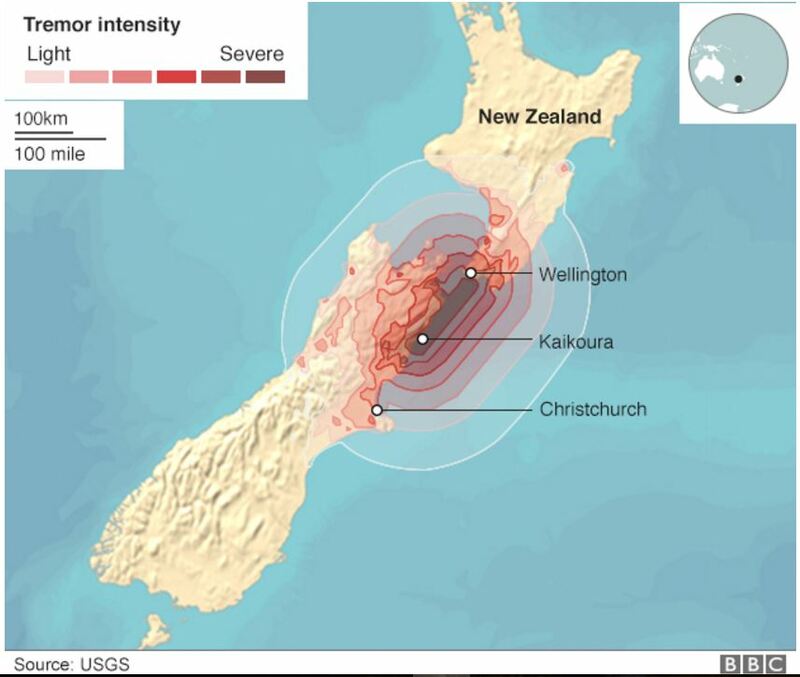 Six major faults ruptured as a result of the New Zealand quake, a new map reveals. The Kaikoura earthquake struck the South Island of New Zealand early in the morning on Nov. 14 local time, triggering landslides, tsunamis and hundreds of aftershocks. And thousands of people were stranded when earthquake detritus dammed a river. During the quake, bystanders captured images of mysterious earthquake lights painting the sky in eerie blue and green. The International Energy Agency (IEA) is perhaps the premier international authority in terms of collecting data on world energy supply and demand and producing analysis for policy makers. 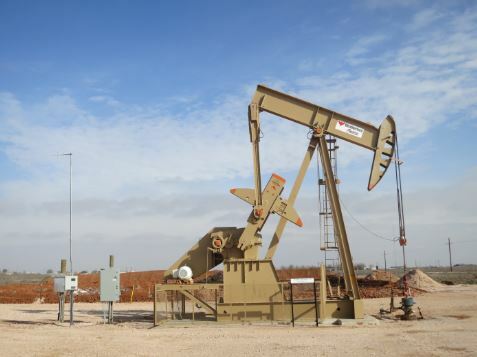 It posts its data online, and each year publishes a report on “key energy statistics”. The following, from the 2016 IEA report, are some notable statistics that call into question the theses that the countries of the world are dedicated to reducing fuel consumption and carbon dioxide emissions and that wind and solar energy sources will soon replace coal, oil and natural gas. The world total primary energy supply by fuel rose steadily from about 6,100 million tonnes of oil equivalent (Mtoe) in 1971 to about 13,700 Mtoe by 2014. Breaking: Armed UN security confiscates Morano's printed press releases on UN treaty shredding. University of London professor emeritus Philip Stott: “The fundamental point has always been this. Climate change is governed by hundreds of factors, or variables, and the very idea that we can manage climate change predictably by understanding and manipulating at the margins one politically selected factor (CO2) is as misguided as it gets.” “It’s scientific nonsense,” Stott added. An improvement to Bode’s Law. Why Phi? I’m working away for the next fortnight, with no internet access. So I thought I’d put up something for the bright denizens of the talkshop to chew on while I’m gone. Bode’s Law is a heuristic equation which gives the approximate distance to the first seven major planets plus Ceres. reasonably well, but then goes completely off the rails as you can see in Figure 1 below. I’ve always thought the Titius-Bode equation to be a fudge. It doesn’t relate to any physical concepts that have anything to do with orbits or gravity. So I’ve come up with something better. Wind energy has been remarkably successful in providing an increasing share of cheap renewable energy. But can this trend continue to supply more and more renewable energy for decades to come? A new study published by scientists from the Max Planck Institute for Biogeochemistry in Jena, Germany, lowers the expectations of wind energy when used at large scales.